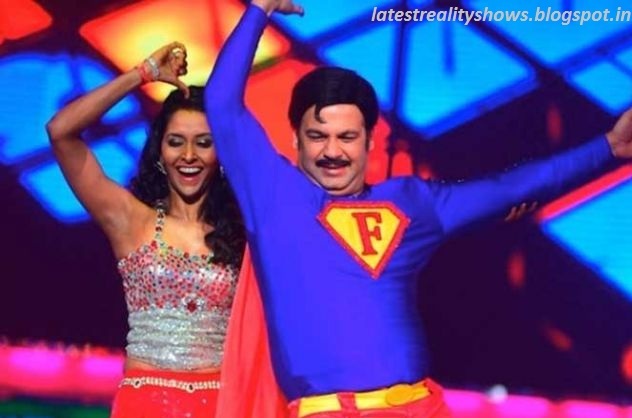 The very famous Indian dance reality show was full of masti last weekend. Bollywood stars make their presence on Jhalak Dikhhla Jaa to promote their upcoming movies. Bollywood actors Shahid Kapoor and Ileana D'cruz came on the set of Jhalak Dikhalaja 6 to promote their upcoming movie 'Phata Poster Nikla Hero'. Jhalak last week challenge was Bollywood Item numbers. Contestants prepared dance choreographed by Ganesh Acharya.The angels of reality show Sonali and sumanth performed on “Husn hai Suhana” and scored 30/30.Mukti Mohan performed on a very famous and hit item song 'Chamma Chamma' and scored 27/30. Drashti Dhami danced on Kareena’s hot item number “Halkat Jawani” and also scored 27 mark. Laure n and Punit Pathak danced on “Aisa Jadoo Dala Re”.Shaan performed on “main laila laila chillaunga kurta phadke” song. Shahid kapoor shakes a leg with Lauren Gottlieb on Jhalak. He also praised of Lauren’s smile.Shahid also grooves with Madhuri dixit on the stage and said “Anything to dance with Mads'. Madhuri dixit also danced on her famous bollywood song from the movie “Lajja” choreographed by Ganesh Acharya “Badi Mushqil baba badi Mushqil Gore Gore gaalon pe hai kala kala til” and she looked so stunning. Manish paul and Kapil also entertain by their comedy.Ileana D’cruz danced with her co-actor Shahid Kapoor on the song from their movie “Phata Poster Nikla Hero”. In total the weekend of Jhalak Dikhhla jaa was full of masti and dhamaal. 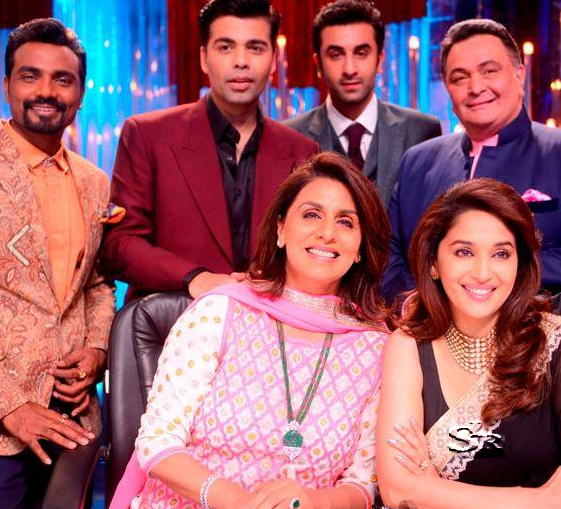 Jhalak Dikhlaja, India’s most entertaining dance reality show by having the high profile judges - The dancing Diva Madhuri Dixit, Karan Johar and Remo D’Souza and the most talented contestants. 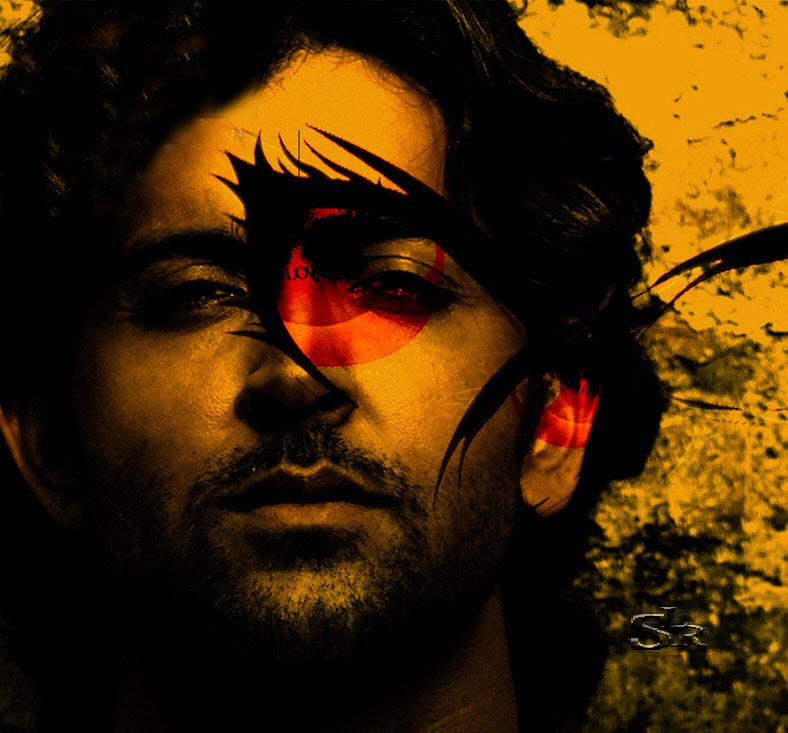 Every week of Jhalak brings the most wonderful and brilliant performances by the contestants. Jhalak has got its top 5 contestants & each one is fighting for getting closer to Jhalak trophy by showing their best dance performances. Lauren Gottlieb, Drashti Dhami, Shaan, Mukti Mohan and the winner of India’s Got Talent Sonali and Sumanth enters into the top 5 contestants. Each contestant is full of energy and talent. It is very difficult to even guess who will be the winner of Jhalak Dikhlaja trophy. Drashti Dhami is also one of the best contenders of the dance reality show.Everytime she proved herself as a best dancer of Jhalak Dikhla Jaa. Drashti Dhami paired with the winner of dance India dance Salman Yusuff Khan as his choreographer. Both showed the handwork in each of their dance performance. Salman has been praised many times for his best choreography and also Drashti for her best dance moves with full of face expressions. She has been praised by all three judges many times for her brilliant acting with full of emotions in every dance performance. Drashti has scored 30/30 many times by giving her best performances on Jhalak Dikhhla Jaa. Salman Khan was appeared this weekend for promoting his upcoming controversial reality show Bigg Boss Sath 7.Salman Khan shakes a leg with his Hum Aapke Hain Kaun co-star and the beautiful judge of Jhalak Dikhla Jaa Madhuri Dxit on “Dekha hai phli baar Saajan ki aankhon me pyaar”.Drashti Dhami also danced with Salman khan on the beats of "Tere mast mast do nain Mere Dil ka le gaye chain”. Drashti is a girl with cute smile and innocent face. Drashti Dhami is playing the character of Madhubala in the most popular show of Colors Tv Madhubala -Ek Ishq Ek Junoon opposite Vivian Dsena. 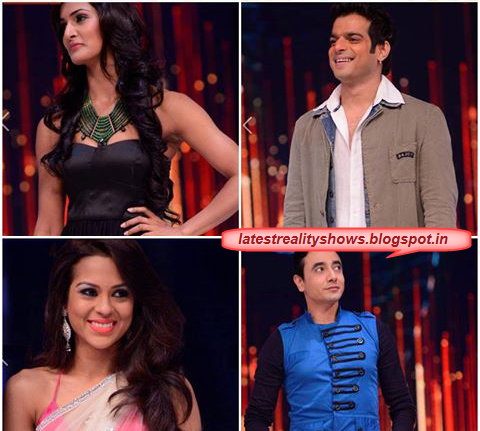 Jhalak Dikhlaja this week also remained with top 5 contestants as there was no elimination this week. But the elimination will be held on next week on the basis of the inclusion of last week votes plus current votes. Next week will be more challenging for each contestant. Who will eliminate this week from Jhalak Dikhla jaa? 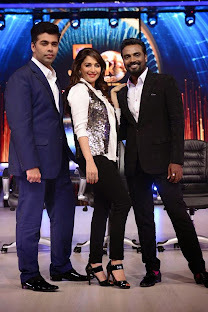 Jhalak dikhlaja started with 11 contestants on 1st June, 2013.On the second week of the show, which was “Jhalak on wheels” there held the first elimination with the famous Indian comedian Suresh Menon. According to the audience voting, Suresh Menon was in bottom three with his choreographer and other two contestants Meghna Malik and Ekta Kaul along with their choreographers. 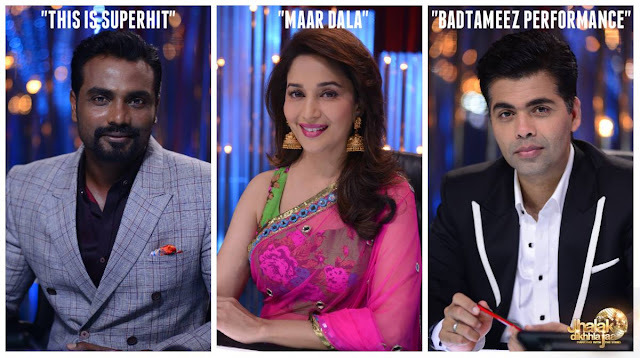 After the completion between all three, all three judges Madhuri Dixit, Remo D’Souza and Karan Johor announced the result. The second contestant who got eliminated from Jhalak Dikhla Jaa Season 6 was Krishnamachari Srikkanth, former captain of the Indian cricket team and the contestant of Jhalak Dikhhla jaa. Now, this week will be the Family special week on Jhalak.Shweta Tiwari announced her marriage next month on the set of JDJ season 6. Guess who will be eliminated this week? Jhalak Dikhlaja has total 11 contestants including famous tv actors, singer, international actor. The famous Tv actress Drashti Dhami who performed on “Ishq vala Love”.Suresh Menon with choregrapher Suchitra, Shaan (The famous Singer) with Marisha, Aarti Chhabria & Choreographer Cornel Rodrigues, Lauren Gottlieb with Punit, Sonali & Sumant, Karanvir Bohra , Shweta Tiwari , Aarti Chhabria . On 1st June, Sushant Singh Rajput,the winner of Jhalak Dikhlaja 4,danced with the female contestants to cheer them all, On the other hand, Bollywood actress and Miss Shri Lanka and former model jacqueline fernandez was there for cheer all male contestants.She danced on her song :Mujhe to teri latt lag gyi " and many more. Sunny Deol and Dharmender visited Jhalak Dikhhla jaa to promote their upcoming movie Yamla Pagla Deewana.The dancing legend and beautiful queen of bollywood madhuri Dixit danced with Sunny Deol on "Main teri mohhabbat me pagal ho jaunga tujhe kaisa lagta hai ,tujhe kaisa lagta hai ". Jhalak Dikhla Jaa, Colors Tv dance reality show featured by Vaseline,is being showing on every Saturday and Sunday at 9 PM. 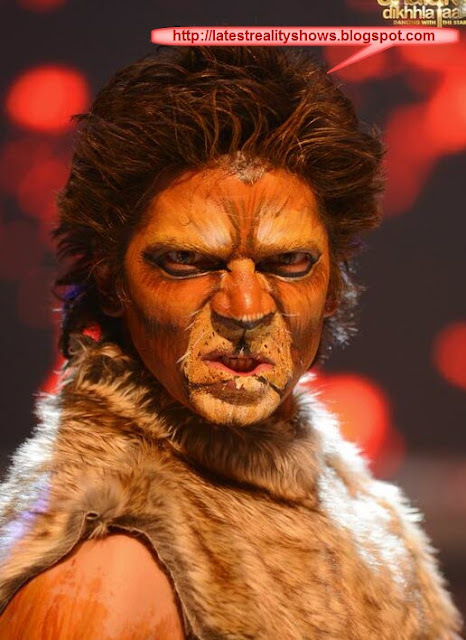 The attraction of this show are high profile judges including The dance Legend Madhuri Dixit, The famous choreographer Remo D'souza and one of the best known director,producer,actor Karan Johar. There will be total 11 contestants including the TV actors,Cricketer, International dancers and comedian.There will be lots of dancing,Fun, Comedy and full on entertainment. Jhalak dikhlaja is going to rock this season for all famous personalities. Eagerly awaiting for the show going to start on 1st June,2013.Switch your channel to Colors Tv at 9 Pm on every Saturday and Sunday.The show is full of dance,masti, dhamaal and comedy with our lovely judges, contestants and the two superb hosts Manish Paul and the best comedian Kapil Sharma. "Jhalak Dikhhla jaa Pal Bhar ke Jhoom ke Aaja".